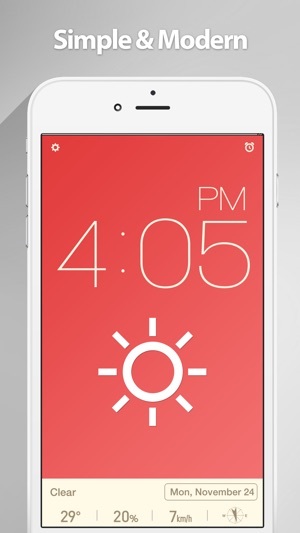 Best minimalist alarm clock app, introduces the red clock. 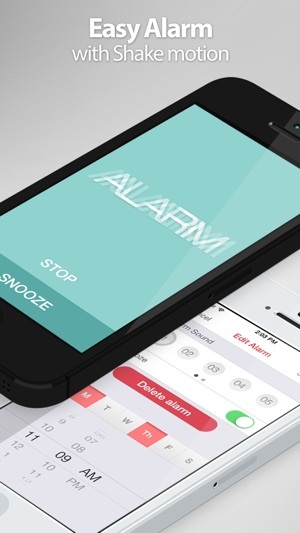 Red clock is simply designed alarm clock app. You can use the easy and simple at the same time clock, weather, alarm. 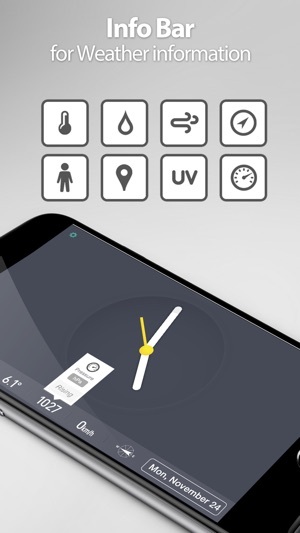 • Location-based weather service with more than 30 Weather Icons. I really like the simplicity and clarity of this clock. I enjoy how it will automatically switch to night mode based on the ambient light. I don’t use the alarm function, but it seems more than adequate- how many different sounds does one need anyway? My only complaint, keeping me at 4 stars rather than 5, is the info bar at the bottom of the screen. The numbers are too small for me to read without my glasses. I’d be happier with just the current temperature with a larger font size or maybe the current and the days high/low forecast. I like the different themes- I wish there was a way to preview the optional themes. Even full size screen shots on the developer website would be appreciated. 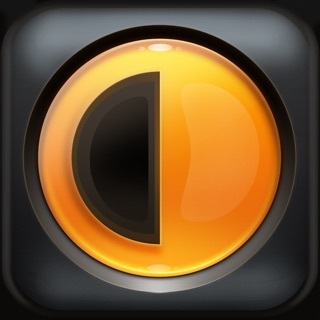 If you’re not sure if you will like this app, take the free version for a spin. The ads do clutter the screen, but it helped me evaluate Red Clock. Having no ads is totally worth the purchase price. Love that at one, uncluttered and easy to read glance I get the time, day, date, and current weather including the temp. Also love that night mode toggles with a double click. As an added benefit, on an iPad at 2x it remains crisp. 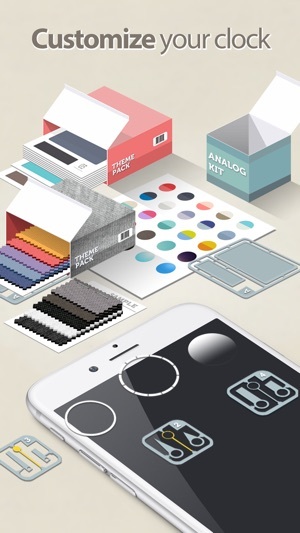 One caveat, the settings button only appears in portrait mode, so if you are used to using landscape and want to change the background to a softer color, you need to go to portrait first. Doesn't have the bells and whistles of multiple alarms, choosing your own sound or seeing the time in 5 countries simultaneously but after playing with a number of other clocks, this is my go-to morning clock. Fix automatic switching to/from night mode! 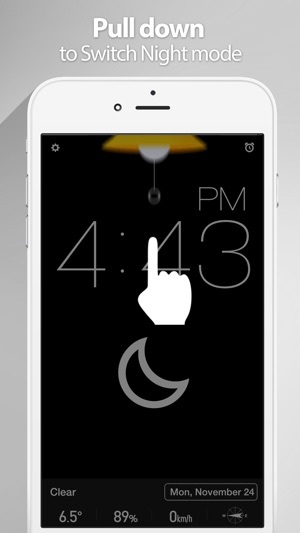 This is the best iOS clock app I have so far found & it has a classy look. However, the feature I was most impressed with & thought was very clever is the apparent ability to automatically switch in & out of “Night Mode”. The night mode feature solves a nagging issue: at night the display needs to be dimmed & during the day bright to overcome light coming in from the widows. Manually switching between these modes works but the settings menu leads you to believe it can also do it automatically but so far it has never done it. Only manually switching works which is insufficient. Fix that & I’d give it 5 stars.